Hohauser Kuchon makes every effort to preserve user privacy. However, when it is required by law, we may need to disclose personal information. 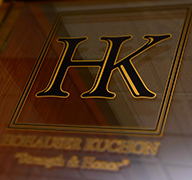 Please do not send confidential information to Hohauser Kuchon via this website or other e-mail. 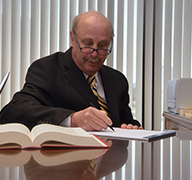 Please be advised that the attorney-client relationship will not protect your communications until you and the law firm with which you wish to communicate have expressly agreed upon legal representation. 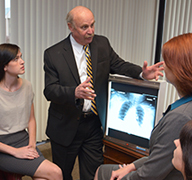 Please be advised that to provide the best response to your inquiries, we may consult with attorneys outside our firm. Hohauser Kuchon is the sole owner of the information collected on this website. A user can choose whether or not to submit personally identifiable information, such as name, e-mail address, phone number, mailing address, age, gender, and/or injury or event description. This website contains links to other sites. Please be aware that Hohauser Kuchon is not responsible for the information contained on those sites or the privacy practices of those sites. Hohauser Kuchon takes every reasonable precaution to protect our users’ information. All of our users’ information is restricted to our offices, and to attorneys outside our firm with whom we may consult. If we change these policies, we will post the changes on this website. A visitor to our website who has questions or concerns about our policies should contact us at (888) 955-4550.